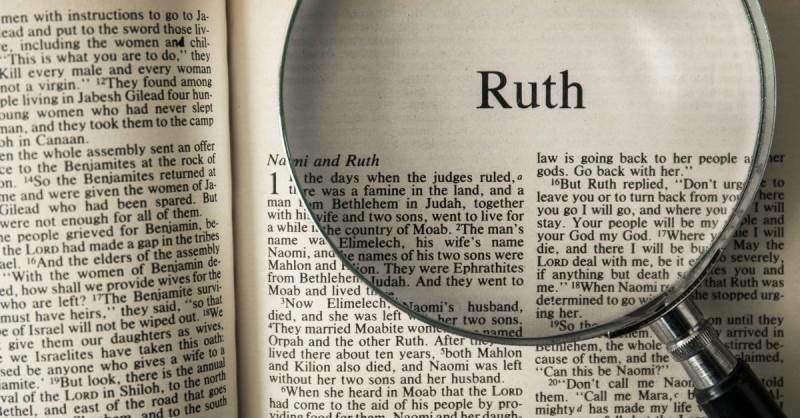 The book of Ruth starts with the life of Naomi. Naomi was from Bethlehem and moved to Moab with her husband Elimelek and two sons, Mahlon and Kilion. Naomi later on lost her husband and she was left with her two sons. Her two sons found wives, Ruth and Orpah, but 10 years later, both sons died as well. Talk about a hard time, right? It was then that Naomi decided to return back home to the land of Judah. Because Naomi had lost her husband and sons, she was moving back home to Bethlehem as a widow. Her heart and life had crumbled. This is a reminder that loss and change is hard and, unfortunately, it’s more common than we know. Many times while dealing with grief we can feel lost or forgotten. Naomi knew all too well how that felt. Before getting too taken by emotions and excited about Ruth’s interest in him, Boaz made sure that the right thing was done first. Naomi wanted to sell a piece of land that belonged to Elimelek and whomever bought the land would also acquire Ruth’s hand for the land in order to maintain the name of the dead with his property. Although Boaz was in line for the rights of the land, there was another guardian-redeemer that had “first dibs.” Boaz talked to guardian-redeemer himself and, as it turned out, that man did not want the land and Ruth. So this gave Boaz the “go-ahead” and he declared there to buy the land and take Ruth as his wife! After Boaz purchased the land and acquired Ruth’s hand in marriage, they became pregnant with a son. This son was named Obed who later became the father of Jesse who later became the father of David who, as we know, is in the direct family line of Jesus Christ! How awesome to see how the braveness and commitment of a young woman would later meet a man that would help to bring the family lines of Jesus Christ into fruition. God also brought joy back to Naomi as she lovingly helped to take care of Obed! How awesome is our God that He can take such a dark and lonely season for Naomi and Ruth and turn it into joy, love, and prosperity! Never underestimate the power of your decisions, commitment, humility, and integrity!